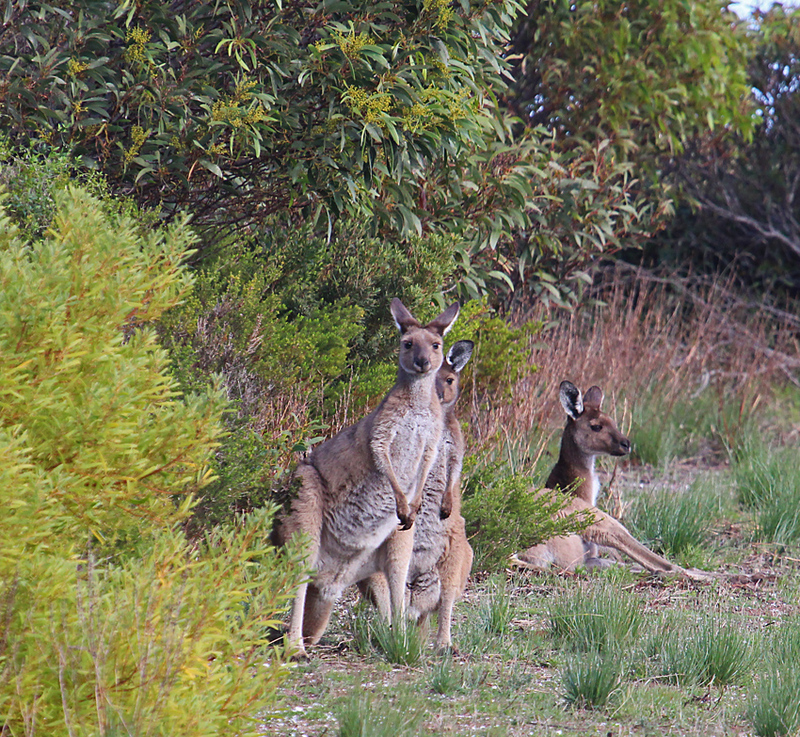 A small group of grey kangaroos is gathered on the edge of the scrub. The large male seems a little nervous. His ears twitch independently as he hops a few metres closer to where I am balancing the camera on an old jarrah fence post. Keeping the females and a half grown joey behind him, the buck stands up to his full height, giving me a clear warning not to come any nearer to his family. 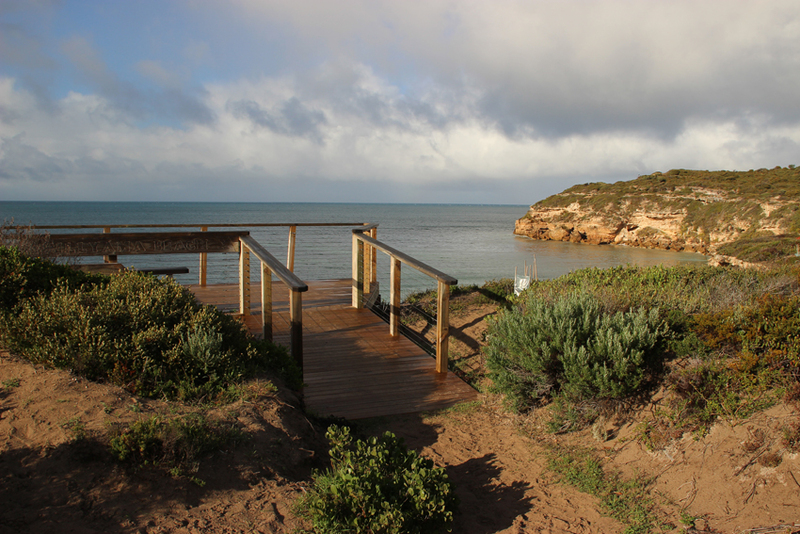 I am walking along the fence-line that separates the township of Marion Bay from the Innes National park. We have hired a little holiday home that sits on the very edge of the township with intimate views of the surrounding grassland and scrub. 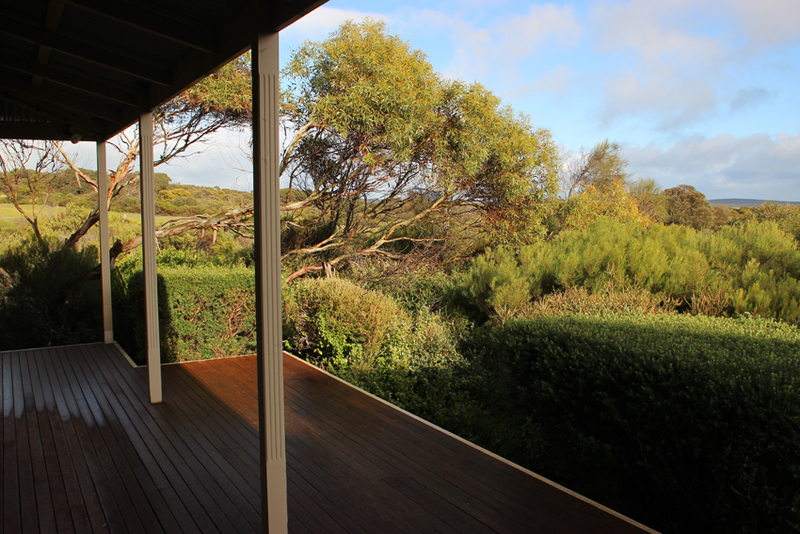 Each morning, while I am eating breakfast on the verandah, I can see a few odd rabbits and a veritable parade of birdlife amongst the shrubs and trees that make up the garden. 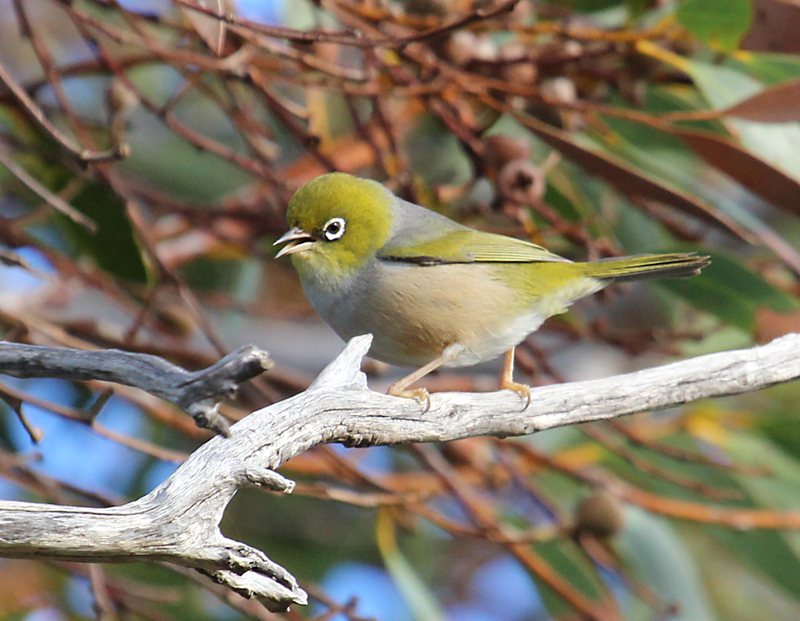 My favourites are the diminutive silvereyes that perch in the eucalypts and twitter menacingly at the larger birds that dare to invade their territory. The kangaroos are close to the lower end of the fence-line which runs from the main road up to the coastal cliffs that dominate this section of Marion Bay. 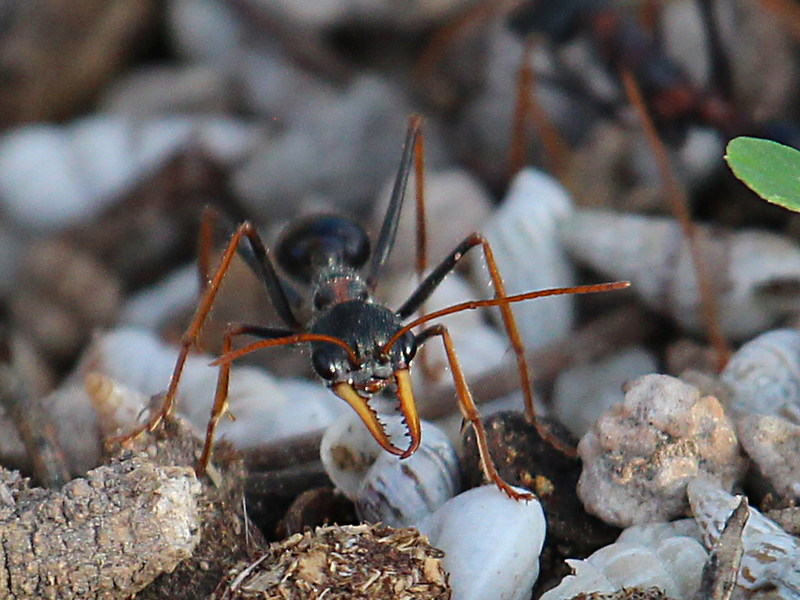 As I move towards the coast I nearly step on an ant nest; not just any colony of ants but bulldog ants. These inch long beasties pack quite a bite and are best avoided. Luckily they do not swarm in great numbers like their smaller brethren. 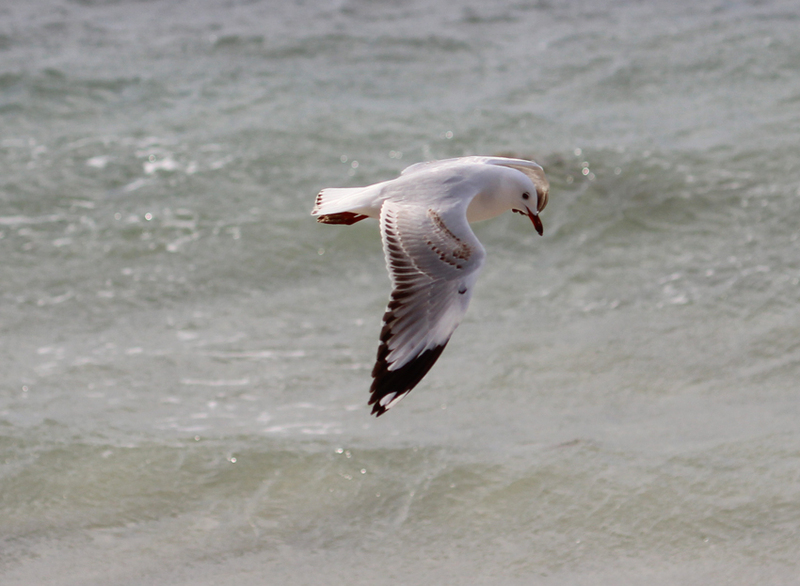 Still, photography is undertaken at a respectable distance. As I approach the top of the cliffs the vegetation changes dramatically. Low scrubby bushes and thick ground covers with patches of tussock like grasses provide an ideal habitat for a range of small birds I can hear them in the thick cover but only catch fleeting glimpses. Then suddenly my luck changes and a glorious little wren hops out and sits on the very fence-line I have been following. 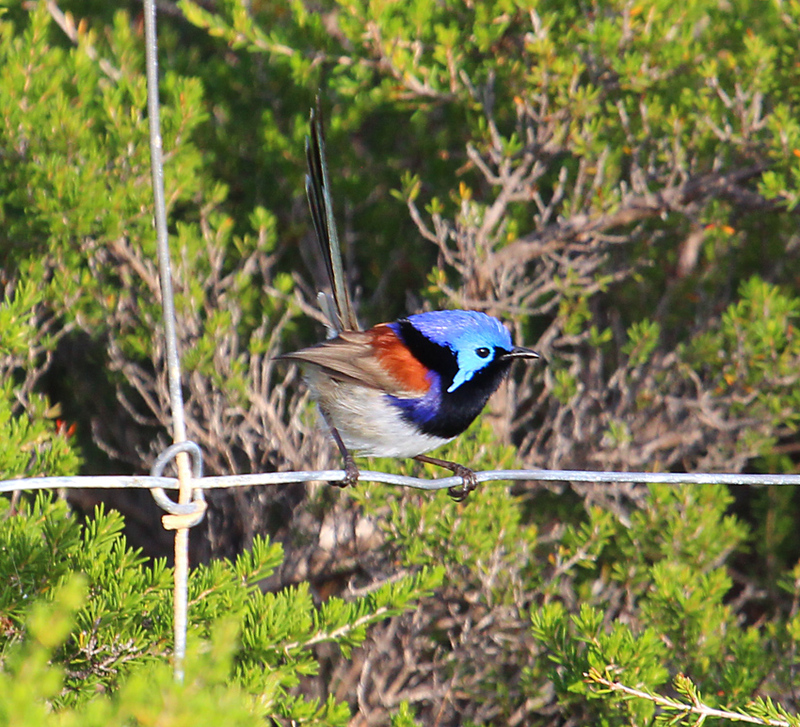 In Adelaide I have often photographed superb blue fairy wrens and I am more than thrilled to see them here in this coastal environment. It is only later when I look at the image more carefully that I realise this little wren is actually a variegated fairy wren; a species I have never photographed. Where the fence meets the edge of the limestone cliffs there is a wooden viewing bay that provides an ideal bird watching platform. In the few minutes that I stand and survey the beach below several species of water birds fly past; including a white faced heron, silver gulls and a pacific gull. Looking back across the scrubby verge towards the rather expensive houses that front the esplanade I start planning my next trip to Marion Bay; perhaps a sea view this time. An afternoon stroll along the fence-line completed my thoughts turn to dinner. The award winning Marion Bay Tavern is just the place to head as the sun is setting on my rather fruitful day on the edge of Innes. Made from materials that reflect the area, including corrugated iron, reclaimed jetty pylons and jarrah timbers, the restaurant boasts an eclectic menu specialising in fresh local seafoods. 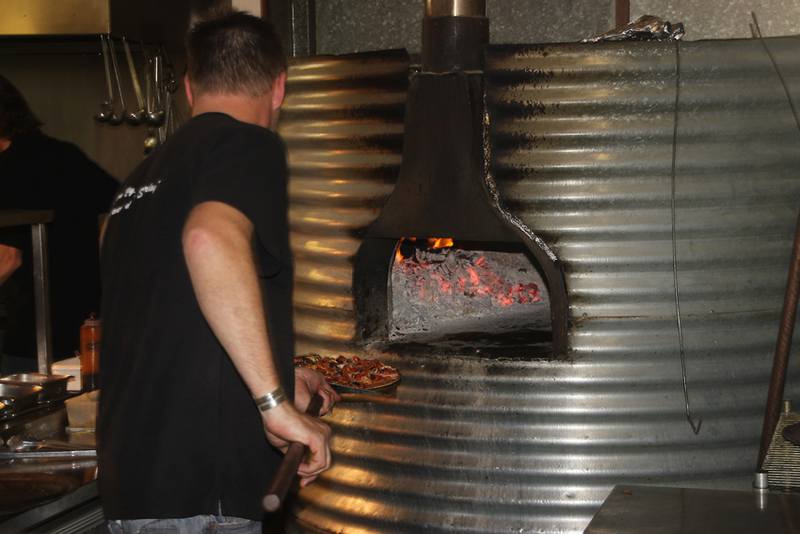 But my choice this evening is a pizza cooked in a wood oven fashioned from a classic old rainwater tank.